Very clean, staff is good. Housekeeping services are not good. We stayed 4 days, asked for spoons three times while having dinner in room but no way. AC just runs only 25c If you need temperature below 25 it will not work I liked parking facility, it has its own parking in basement. 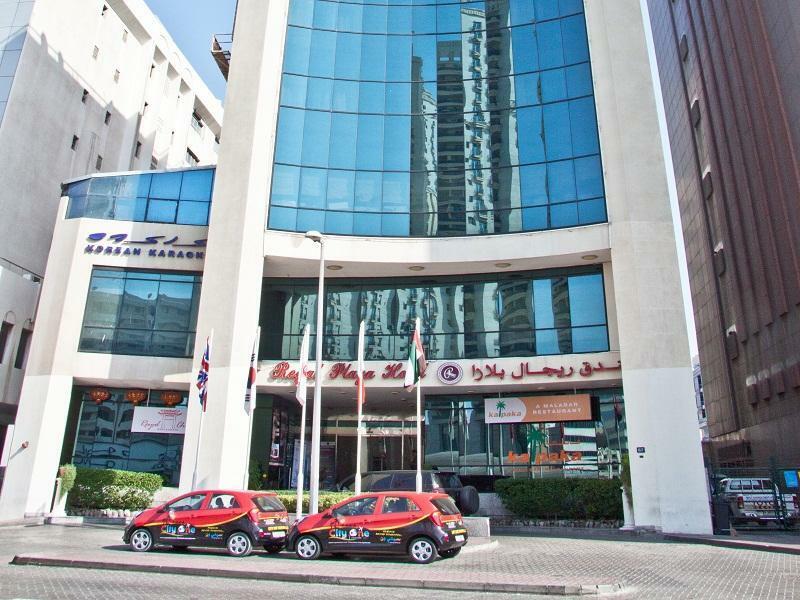 We would definitely book this hotel again on our next visit to dubai.. the location is the best thing due to the distance of the metro station.. the only thing though is the check-in, it took a long time. Very close to Al Fahidi Metro Station. Lots of eaterries nearby including Popeyes, Sparrows, Subway etc. WiFi is good and free. Clean room and bathroom. Nice and polite staff. Our stay was very comfortable. Best Location. Just in front of Al Fahidi Metro Station. Easy to catch a taxi. Meena Bazaar, Carefore, and other markets are close by. Popyz and many more restaurants are within close proximity. Clean and decent hotel. Good Breakfast. Friendly and pleasing staff - especially the Receptionist Ms. Monica. Got upgraded to a Deluxe room. Only minus point was that the room had a very few TV channels of Bollywood / English and they were boring. Other than that everything was perfect. Great value for money and had an excellent stay. 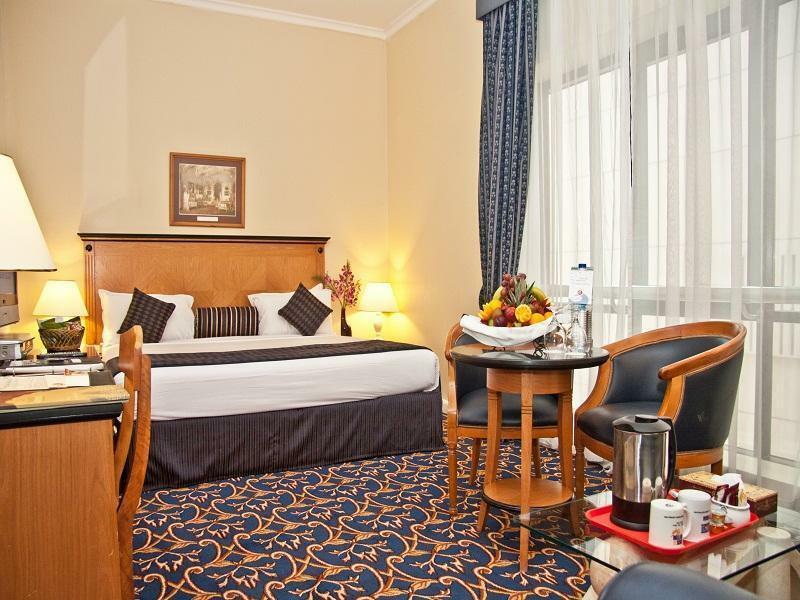 I would recommend Regal Plaza as one of the best hotels in Dubai and would rate it 9/10. Location, Good Staff, Recreation clubs. I stayed here for 3 days and it was pleasant. TV and channels are OK. Daily cleaning is done. Foods variety at Breakfast is moderate. However, I will give double check for revisiting here. Because the tap discharges cold water and lightly warm water, but not hot water. Room light is not sufficient. My room had broken sofa. Iron box was not available. AC regulator needs updating. Check out is 12.00 and No grace given to vacate till 1.00 pm. We were a couple and have selected this hotel for price and location for shopping ! 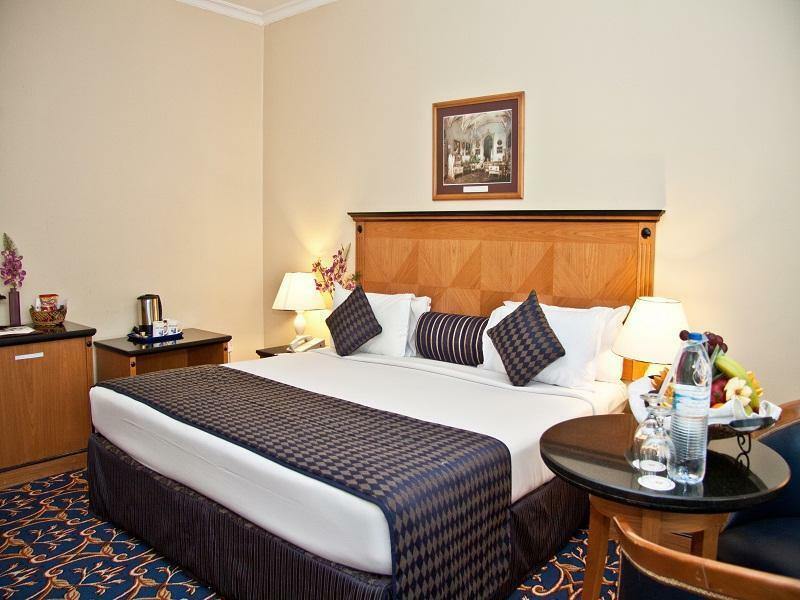 The room was quite big and have a big double bed,which can accomodate two adults and one child very comfortably !Room was having all room ameneties like LCD plazma television,mini bar etc ! 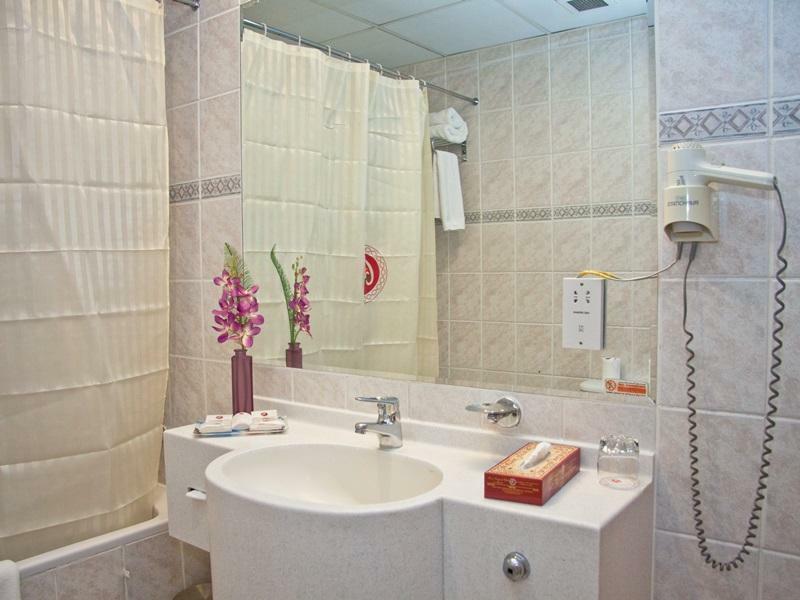 Bathroom was also big with all necessary ameneties,which are all in good working conditions ! Buffet breakfast was also included and it was good for both vegeterians and non vegeterians ! Just dropp down from the hotel and have a five mins walk and you are in the famous shopping paradise street called Meena Bazar ! I will definately stay in this hotel again for enjoying Dubai at its full ! Location. Near a metro station, and smack in the middle of Bur Dubai. a great place to stay, and would stay there again. the regal hotel was not at all what i was expecting after reading some of the negative reviews on tripadvisor and other places. many complained about the hotel’s night clubs’ noise reaching the upper floors, disturbing sleep. well, truth be told, the real reason i decided to stay here was out of curiosity of seeing what those clubs were about. getting to sleep would not be much of an issue though. where i work, loud aircraft and unexpected explosions are quite normal, so a light bass thump is relatively benign for me. ironically, i never made it to clubs, nor could i hear them. and this was on a friday night. check-in was fast and efficient, and the employees were easy on the eyes. the room was clean and comfortable. hot water worked right away. climate controls, no problem. room smelled pleasant. on the negative side, it was a bit smaller than what i was expecting, and there was a small amount of mildew on the shower tiles near the faucets. this area is very central. a grocery store (spinneys) is nearby, and there is plenty of shopping within walking distance. the al-fahidi metro station is literally right outside the front door. Good value for money close to shops and transportation. The hotel is aging. Staff try hard but don’t always know the answers. Breakfast was delicious. Great spread of Indian food and lovely chai karak. Mr Yogesh Kumar, the duty manager, sorted out a problem very professionally and discreetly. He has a lot of experience and a calm manner. I forgot my phone charger and he helped me with it. Staff not supportive, Looking for money in all possible ways. receptionist staff is really careless. rooms tab, shower, lights were not working properly. despite of complaint no one bother to repair. even after changing room all rooms has same situation. i had stayed before regent plaza of ramee group. but i found this is one of worst hotel in terms of food, staff and service amongst remees group. very dis-appointed and will inform as much as friend stay way from this hotel. i would request agoda also not to recommend this hotel to any other customer. . Check in and check out was alright and quick, staff was very kind and helpful. Room was cleaner and bigger than I expected for the price. Also bufet breakfast was very good for the price althought it was still the same exept hot meals which were too spicy for me. There is a night club and a pub in a hotel, thankfully we didn’t hear the noise, becouse our room was on top floor. I think it would be a problem to change a room in case of need. It’s also very good situated just at the metro station, there are markets and restaurants near by the hotel. I recommend this hotel for budget travelers who don’t need any special services. WIFI is terrible WIFI is pathetic. It was better if they declare no free wifi because of the poor quality wifi. Cleanliness is equally puke-able. No vacuum cleaning is done ever on the old and ghostly rugs. A great place to stay if on a budget and want to get the most out of your stay. Close to metro shopping. Staff is great people who work hard to make sure your stay is good. Hotel is worn some but for my purposes I was extremely please. Well done!! สถานีรถไฟใต้ดิน Al Fahidi - ระยะ 0.09 กม.